From the author of the beloved novel The Giant's House comes a beautiful new story collection. In 'Property,' a young scholar, grieving the sudden death of his wife, decides to refurbish a rental house by removing his landlord's possessions. In 'Peter Elroy: A Documentary by Ian Casey,' the household of a successful filmmaker is visited years later by his famous first subject, whose trust he betrayed. In 'The Lost & Found Department of Greater Boston,' the manager of a grocery store becomes fixated on the famous case of a missing local woman. 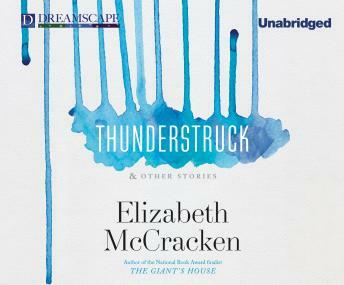 And in 'Thunderstruck,' a family makes a quixotic decision to flee to Paris for a summer, only to find their lives altered in an unimaginable way by their teenage daughter's risky behavior.